Here is another sweet handmade 'For You' card I made recently. These are such lovely cards to give to people you care about and can be used for almost any occasion possible! 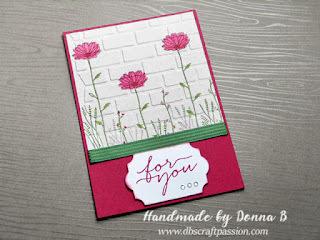 I love the simplicity of the hand drawn flowers and the bold colours really made the card stand out. Thank you for viewing my blog and my crafts. To view more make sure you check out my Instagram and Pinterest!